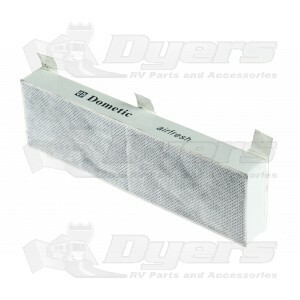 An activated carbon filter perfect for refrigerators, closets, kitchens, & bathroom. Provides for a fresh, clean scent throughout your RV. Prevents odors for one full year. Adhesive strips for easy mounting.